I've been with the Corn People on a few of their adventures now: back with the Three Sisters, when they were blue, and last time when they took over the world. Now they are Veggies in Space, and that sounds good. Look at the little corn rocket. Isn't that cute? The cover art to Veggies in Space is so silly. It's a very happy, carefree image akin to the images used by Beat Happening. I love the little jet coming out of the corn, so fun and simple, and it makes the corn look like a carrot. Rabbits are from the moon, you know, so it all makes sense. This might be the best cover for a Corn People album yet, and it does a good job at representing the musick under the surface. “Crash Landing” is a great song. The drums are powerful, and the synths are wild and mechanical. It sounds like somebody is in trouble. “Abducted and Experimented” is calmer, funkier; seemingly the subject is under hypnosis or pharmaceuticals to create such a state. There are some kind of bubbling tubes. Also, it’s a smidge too long. “Zero-G Swing” is creepy and similarly silly. The warbling tones seem deranged. “I Have Craters in My Head” is a cool, spacey jam. I like the sharp change in the latter half into a different bombardment. “Betelgeuse” closes out the first side with an ambient and whirring jazz-fusion/funk. Side 2 starts with the distant star voices of the “International Bass Station” that quickly warp into a fast jam. I really enjoyed the middle section with minimal drum hits and the static noise. “A Trip to Trappist-1” is another upbeat space jam that riffs off one segment. Also there are laser sounds. I wonder how far Trappist-1 is from the “International Bass Station”? “Dark Matter” starts with a hand drum and then becomes a pretty far out fanfare. “Floating with Greys” has elements of a soundtrack and has some cool dance stoppage. There are still tons of goofy horns. I feel like this one has some really, really good elements but should be more focused for how concise it is. Finally, there is a “Jam Aboard the Mothership”, which is certainly very jammy. It’s a good summation of this journey, both the highs and the lows. 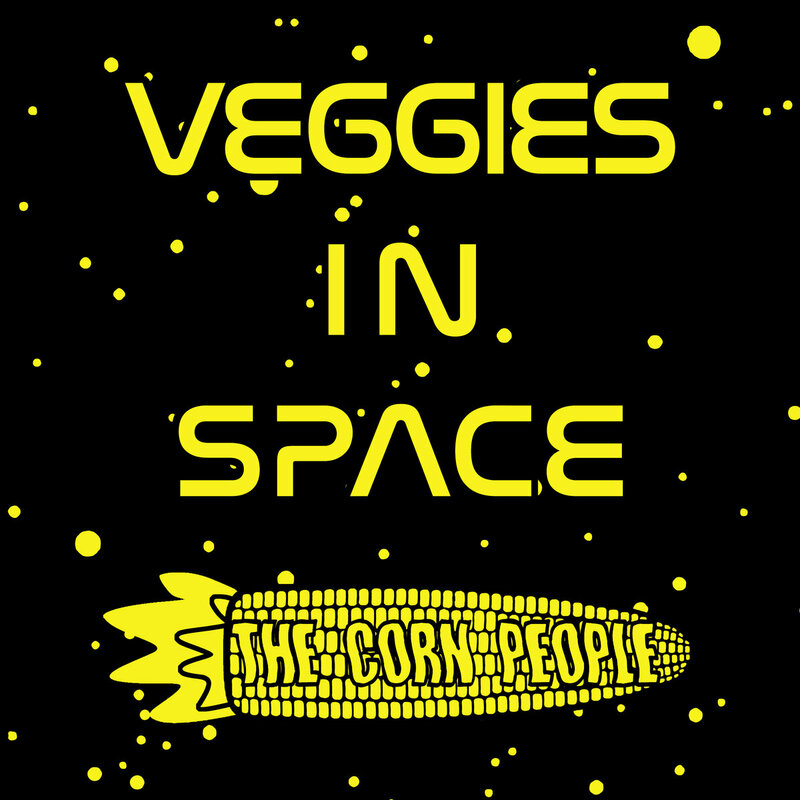 Veggies in Space does not live up to the heights of Corn People Take Over the World, but it isn't the worst album either. The jams run wild; they cross borders and dimensions, planetary boundaries. They might go too long and far out, though the distances are not great; they are just unprepared for such journeys as meager space travelers (it seems anyway). 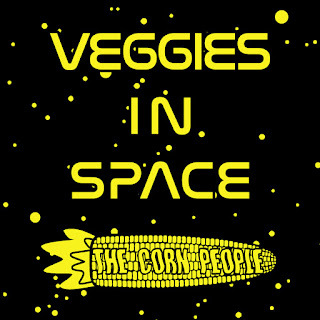 I am glad that The Corn People took the trip out there, but Veggies in Space only gets a Neutral.